Let us be honest. 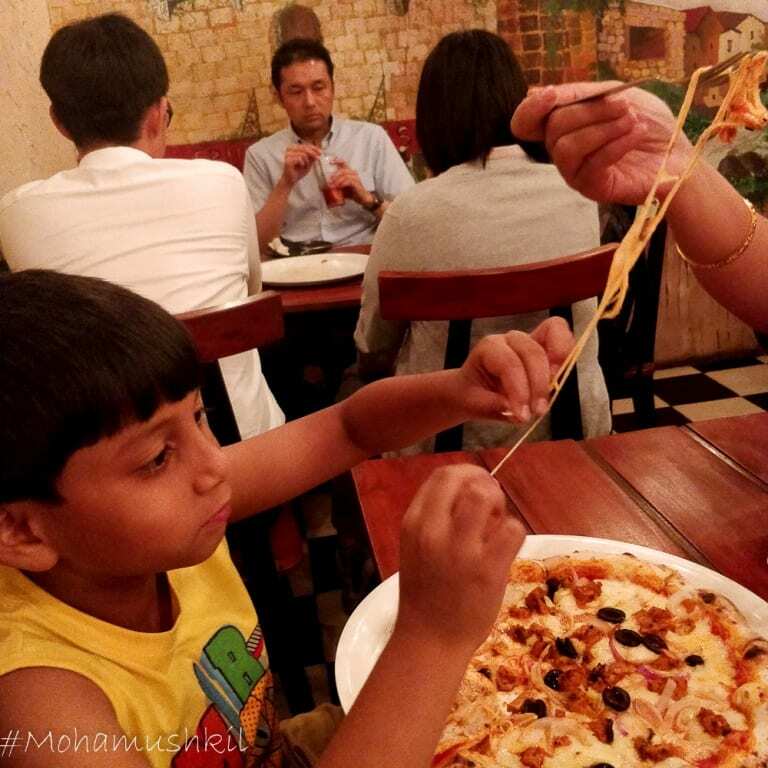 Pizza is a weakness– for me and my son at least. My wife stays silent in this regard, but with the enthusiasm she attacks her slice, probability is its same even for her. 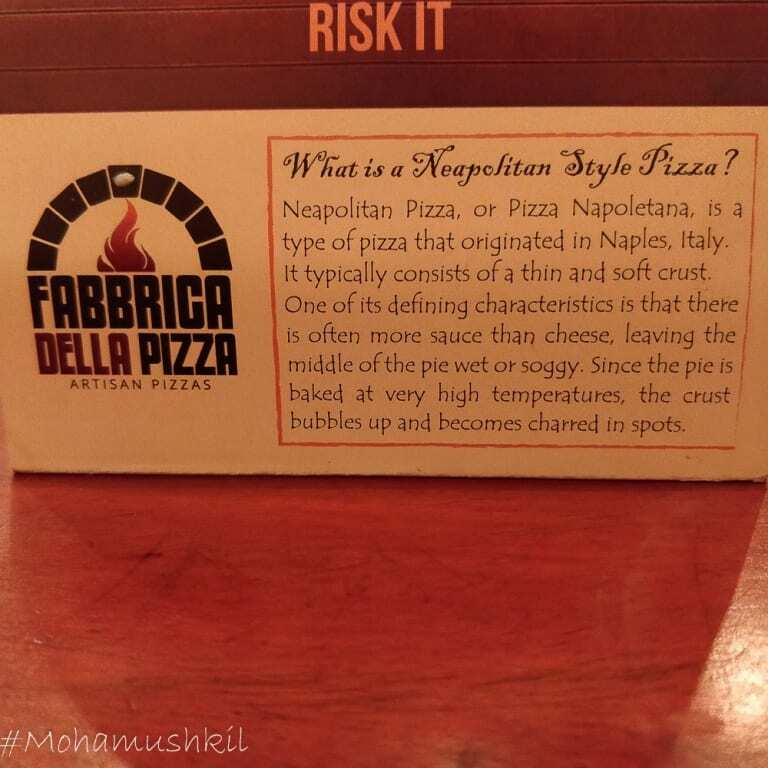 Now, as the experts say, getting a good authentic pizza is pretty difficult in Kolkata. 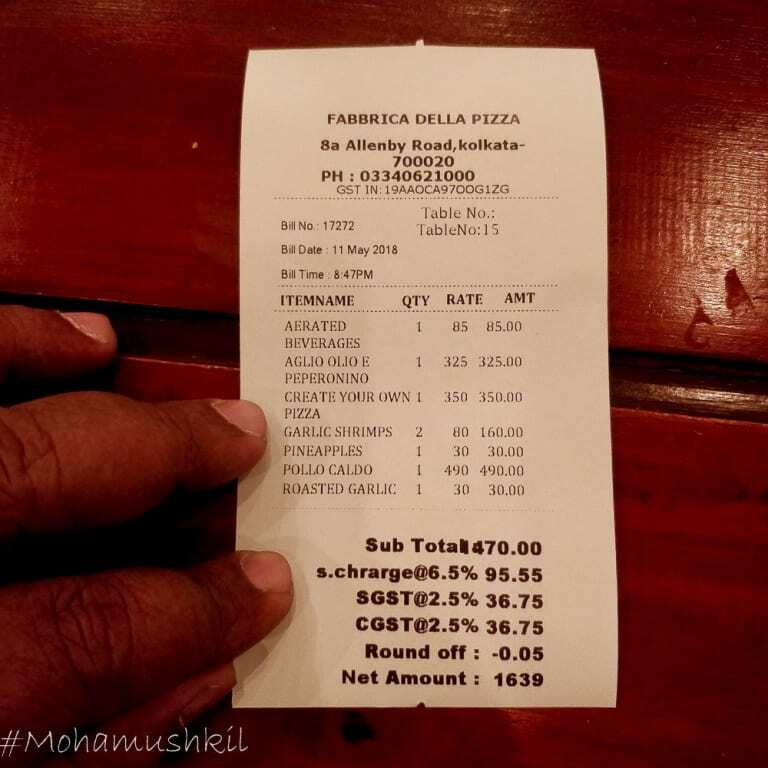 But, as I’ve never been to Italy, so I can’t vouch for any outlet serving authentic pizza. 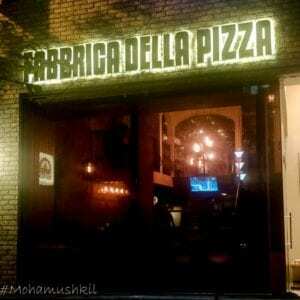 But what I can do, is to talk about one joint which is serving a great pizza … Fabbrica Della Pizza, Allenby Road. The decoration is simple, yet elegant with wooden table and chairs. For food photographers, lighting is a problem though. 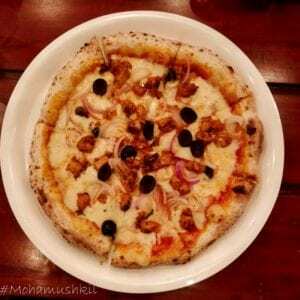 The best part is the huge huge wood fired oven in ground floor, where all the magic is done. So, what is a pizza and where did it suddenly pop up ? 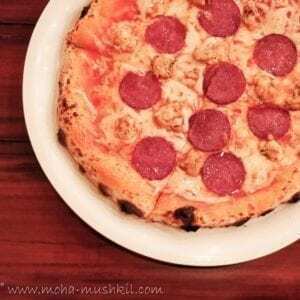 Pizza is a flatbread with topping and cheese (mostly Mozzarella… )Pizza is just a punjabi parantha, who went abroad to study and took citizenship. Now, that’s definitely some of her PJ. but is it that simple ? 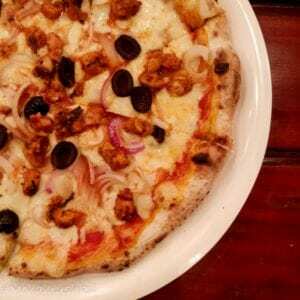 Neapolitan Pizza- This variety started in Naples in 18th century. During this time, the poor people used to look something that can be prepared with modest means and is filling. And this flatbread with tomato, cheese and garlic came into rescue. Here, the dough consists of wheat flour, yeast, salt and water. Naturally, the crust is fluffy and soft and elastic. This pizza is supposed to be so thin, that it’s not supposed to have a heavy topping and can be eaten with fork and spoon. Chicago Pizza- It’s the deep dish pizza. During the early 1900’s , Italian immigrants in chicago were missing their nepolitan pizza and were looking for something similar. But Ike Seawell prepared a deep dish version, kinda pie with raised edges. 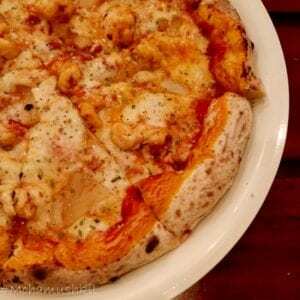 with mozzarella lining the dough, meat, vegetables and finally crushed tomato were added. 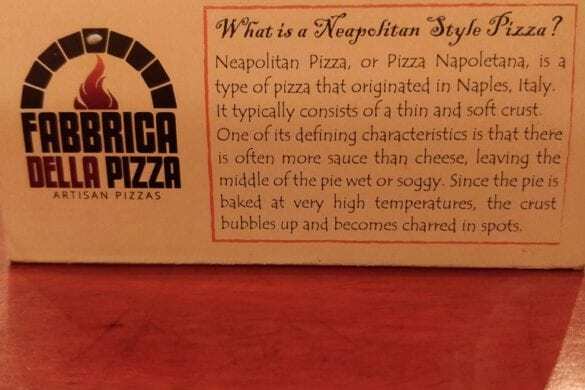 American Pizza- This version is similar to Nepolitan, but the crust is not that thin and elastic, yet, thick enough to fold a slice in half lengthwise. 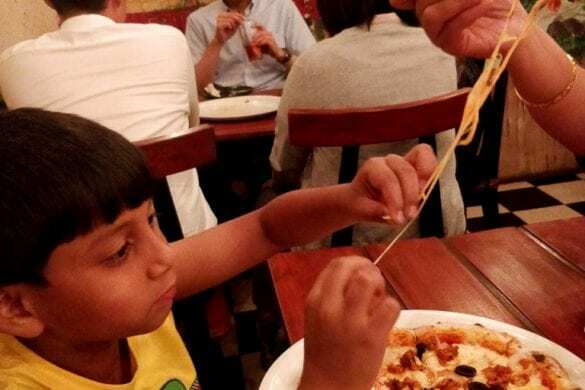 The idea was to have it on-the-go without utensils, to make way for the fast paced city life. Sicilian Pizza- It is with thick, spongier crust and can be square or rectangular in shape. Originally, it was supposed to be eaten during christmas and new year, but not now. Greek Pizza- It was never invented in greek, nor has any greek ingredients. It was created by greek immigrants in USA. the the crust is fluffier than thin crust nepolitan, but thicker than deep dish or sicilian variety. Californian Pizza- This variety is known from its unusual ingredients. 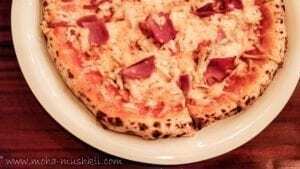 If I may quote the website here, This pizza got its start back in the late 1970’s when Chef Ed LaDou began experimenting with pizza recipes in the classic Italian restaurant, Prego. By chance, he served one of his newest creations, mustard, ricotta, pate, and red pepper, to Wolfgang Puck. 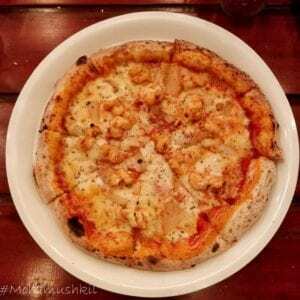 Impressed with LaDou’s innovative pie, Puck invited him to be a head pizza chef at his restaurant. It was here that LaDou came up with over 250 unique pizza recipes that eventually formed the menu of chain restaurant, California Pizza Kitchen. and finally Tomato Pie- This is thick crust and features a Focaccia type of a bread and it has got a llllllot of tomato gravy put on it. It’s commonly served at room temperature. 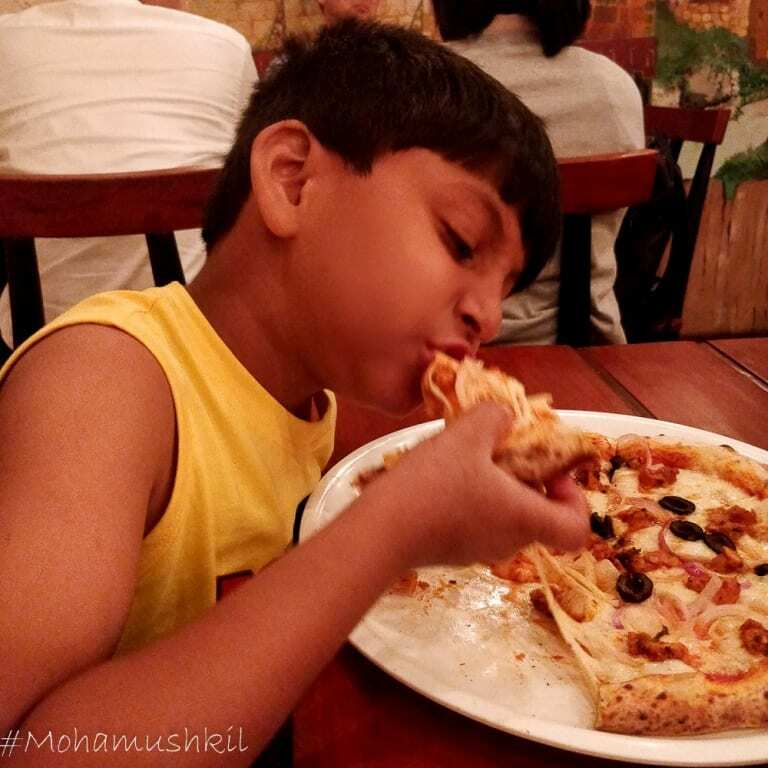 But by now, my son was almost half asleep with my gyan and pizza was served to our table. And the topic suddenly moved towards good food. The first thing that I loved about this place is the warmth. 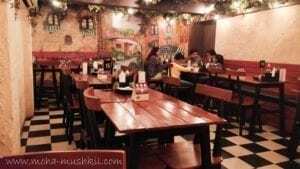 The whole place is decorated like some Italian countryside and with dim light (bad for photographers and good for romantic diners … LOL). The service is prompt and the menu card is kinda customized. We can decide what goes in our pizza- starting from cheese, sauce and topping. Off course there are pre-decided varieties, but being a know-all-bong, I chose to order myself. 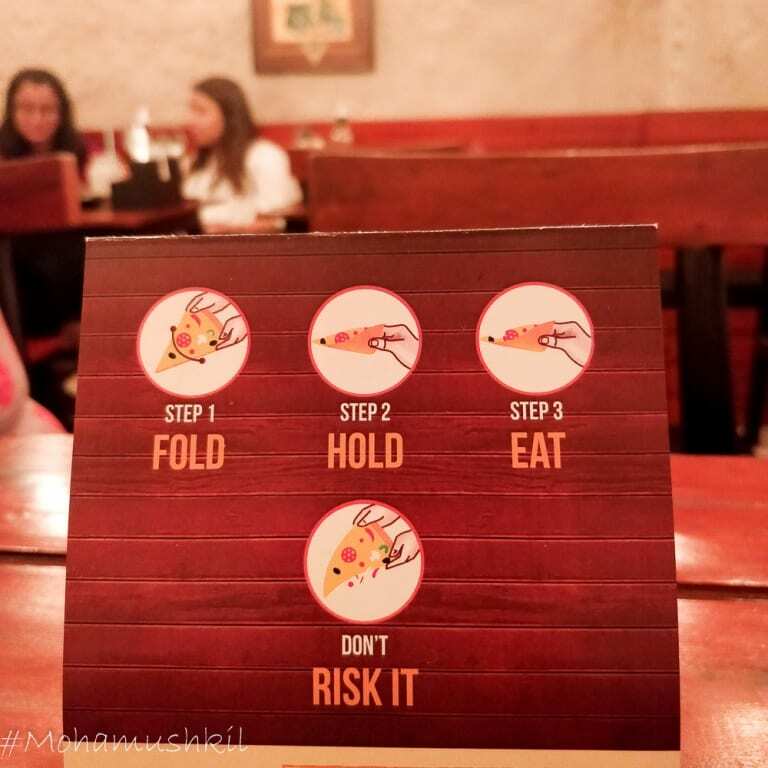 On my first visit, I decided to play it kinda safe and ordered for Mozzarella cheese with Pepperoni and Ham topping and one with garlic shrimps and Roasted Chicken (Ayan da recommended heavily for the shrimps and my son is mad for the roasted chicken, being the idiot he is). 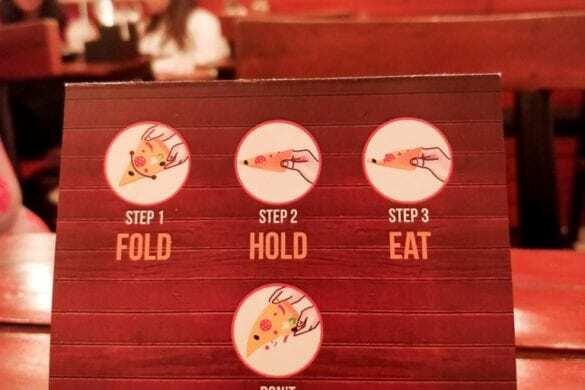 Now, the first thing one would notice is the crust of the pizza. It’s damn soft and elastic. The amount of superb Mozzarella they put in is kinda insane. And, as a result, when you try to lift a lice, you need to actually fold it and have. 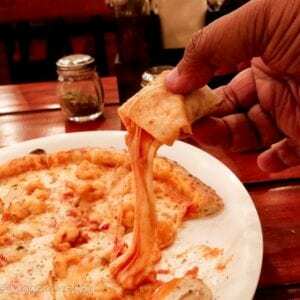 Frankly, I love pizza and keep on trying almost everywhere. 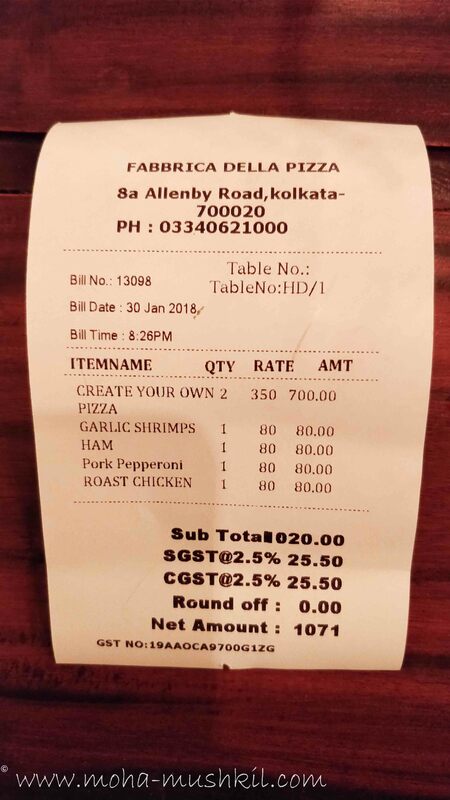 But, I’ve never seen anything like this in Kolkata before. The sides are slightly burnt from the wood fired oven , adding supremely to the taste. The pizza is 11″ , but is so light and delicious that I’d suggest to order a single one for one person. On my next visit, my wife was in the mood for some Pasta. And going by the last times experience, I could sense that these guys are good with their skills from Naples. 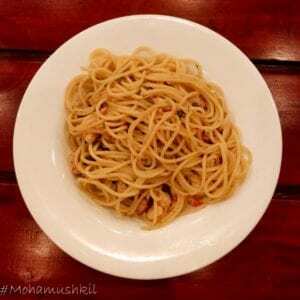 So, Spaghetti aglio e olio was ordered for her. Now, traditionally, aglio e olio is supposed to be made with a good dose of garlic infused olive oil and a dash of dried chilly flakes. And, it was just that. A perfect classic example. 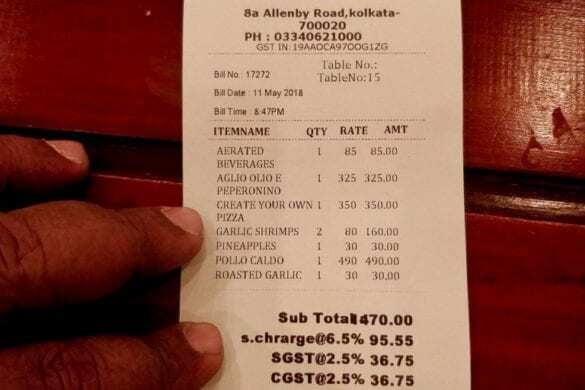 Forget about the history and origin, just enjoy the superior pasta, it’s actually rare to find something like it in Kolkata. But sadly, while working on the superior taste, they’ve cut short on the quantity- it could’ve been slightly larger in portion size– but whatever … happiness is a relative term. And, off course next was pizza- what else ? But this time, we’ve tried garlic shrimps with pineapple and the result was magical. The hint of sweetness gelled perfectly well with shrimps and it’s definitely going to be there on our next visit. And, my son’s standard order was Pollo Caldo- basically chicken, black olives and garlic oil. Though I’d prefer shrimps or pepperoni personally, but here, the soft nepolitan base elevates this whole thing to a different level. We didn’t bother for the desserts and wanted to preserve this taste. 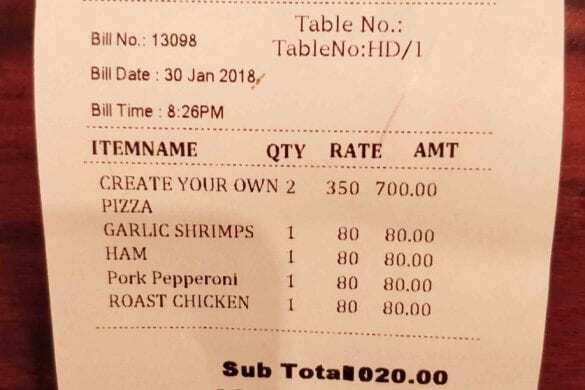 So, some soft drinks were ordered along-with. 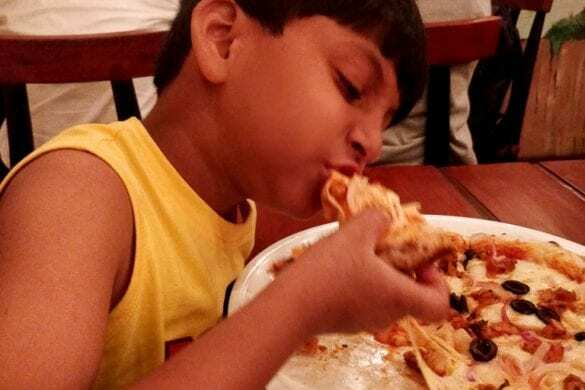 and, here, it’s one of those rare moments, where junior cared less for soft drinks and more for his pizza. 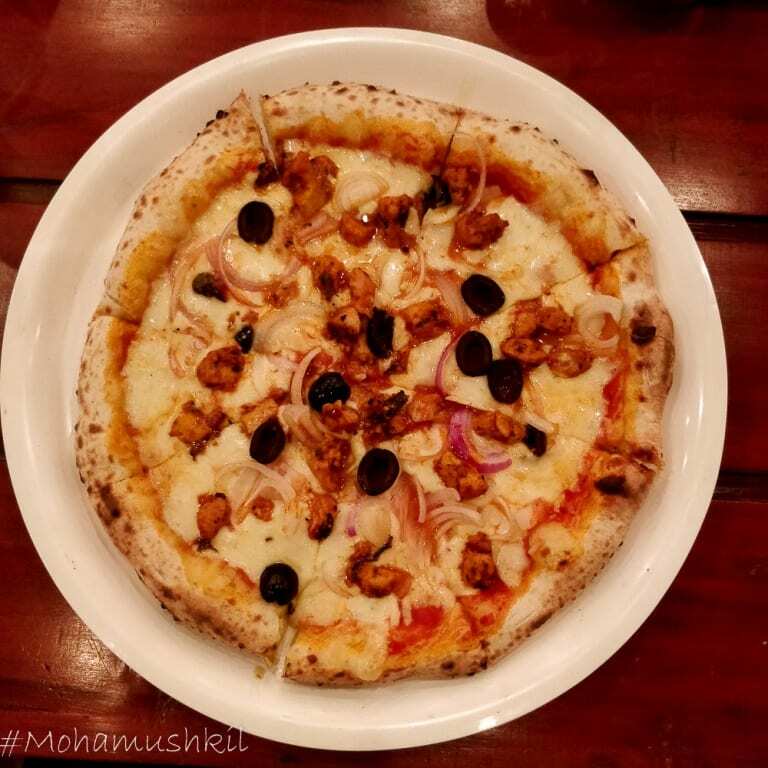 Overall, I may be biased, but hands down, this is THE BEST pizza joint in Kolkata at this point of time, if you’re looking for some classic Nepolitan variety and is definitely definitely recommended.